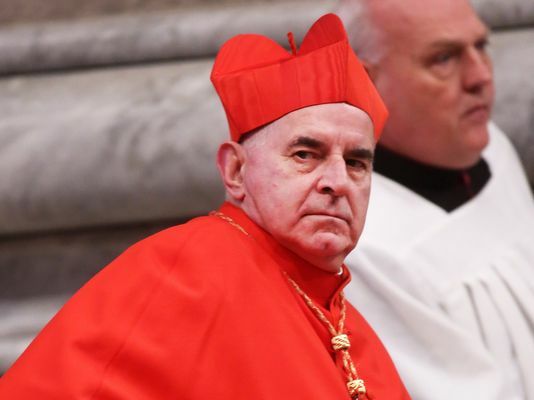 Scottish Cardinal Keith O’Brien, the former leading prelate in Great Britain who resigned from his position as Archbishop of St. Andrews and Edinburgh last week, has acknowledged that there is some truth to sexual misconduct allegations made about him. He has also apologized for his behavior. “The former archbishop of St Andrews and Edinburgh, and until recently the most senior Catholic in Britain, apologised and asked for forgiveness from those he had ‘offended’ and from the entire church. Last week, three priests accused O’Brien of sexual misconduct, but at the time the cardinal denied the veracity of the allegations. “O’Brien’s resignation was remarkable in its speed; his apology is all but unprecedented in its frankness. Many sexual scandals or allegations of misconduct against individuals or the wider church have dragged on for years. “This is a shocking admission, but one that is in many ways welcome, not least because it seems Cardinal O’Brien must have been leading a double life, and that is now at an end. I agree with Pepinster. Cardinal O’Brien’s acknowledgement and apology show that he is on the road to acting with honesty and integrity, which is good both for himself and the entire church. Besides the abuse and harassment involved in this case, the real tragedy is that because of institutional Catholicism’s negative attitudes toward homosexuality, Cardinal O’Brien felt he could not have sought help to accept himself and to deal with his sexuality in mature, healthy, and holy ways. I hope that Cardinal O’Brien’s steps toward honesty and integrity are the beginning of his personal healing and the beginning of healing for those he abused. I hope that his public admission will be emulated by more church leaders. If more church leaders were to acknowledge and accept their sexuality, the Catholic Church would be a much healthier, and much of the physical abuse caused by clerics’ behavior and emotional abuse caused by misguided teachings could be avoided. Archbishop Rembert Weakland was an early confessor. God bless him!! Ontario Catholic School Controversy Could Easily Have Been Avoided Is the Retired Pope Gay?